Laptops are portable computers that have various advantages over a desktop computer but they lack certain things because of their small size. One such thing is the presence of loud and good quality speaker. This is also the case with Smartphones as their speakers are not good for listening music. All laptops come with inbuilt speakers but they are not loud enough and do not have the quality that is needed for listening music and watching movies. They are just ok for casual listening. At home you can connect your regular desktop speakers or music system but you cannot carry it anywhere with you. So if you want to enjoy a good audio experience on your laptop or smartphone anywhere round then have to invest in a good portable speaker that comes with either USB or Bluetooth connectivity. I have also written a detailed guide on how to find good portable speakers for laptop. You can find that guide below. But here in this post I will provide you the list of best affordable portable speakers that are loud enough and good enough to watch movies and for listening music. Here are some of the best available portable speakers that you can buy for your laptop, smartphone or tablet. Nice portable speakers from Philips that looks nice and delivers good performance. These speakers look very stylish and they draw its power from computer USB port. There is a 3.5mm aux cable by which you can connect these speakers to laptop, PC, mp3 player or your smartphone. 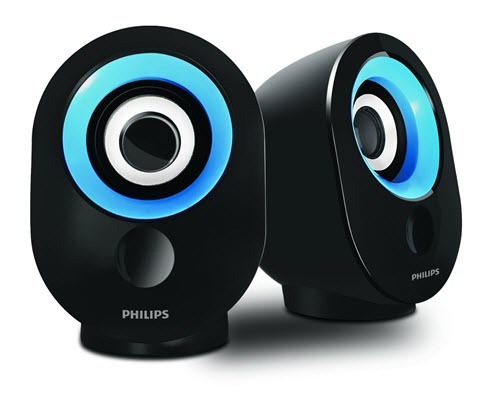 Philips SPA-50 is a 2 channel speaker system and its total output is at 3Watt RMS (1.5W x 2). The sound quality is excellent, bass is good and the speakers are reasonably loud. Highly recommended. Just like the above Philips speakers, these are also very good portable laptop speakers that have the same form factor. iBall Soundwave 2.0 Multimedia Speakers are 2 channel speakers that maximum RMS output of 4W. The speakers draw power from the USB port and come with 3.5mm plug. The speakers are loud enough and the sound clarity is also pretty good. Portronics Sound Bowl is an amazing compact sized USB speaker for laptop or PC. This speaker does not come with 3.5mm plug and the power and sound signal is transmitted over the single USB cable only. This is good as it eliminates the hurdle of extra cable and even if your sound card gets damaged then also you can play audio using these USB speakers. But the downside is that they cannot be used with Smartphones or Mp3 players. These USB speakers are very loud and has crystal clear sound quality. Portronics Sound Bowl speaker has total RMS output of 6W and it comes with inbuilt USB cable. My personal favorite and highly recommended by me. Tiny but powerful laptop speakers from Lenovo. These 2 channel speakers are reasonably loud and offer clear and crystal sound quality. It does lack in bass department but you cannot expect too much from such a small sized speakers. 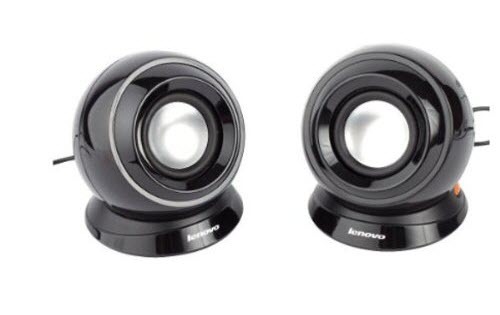 The total output of Lenovo M0520 speakers is at 6W RMS. The speakers are USB powered and comes with 3.5mm aux cable. Overall good portable speakers for laptops and smartphones from Lenovo. High quality portable laptop speakers from Logitech. These are 2 channel speakers that is powered by USB and comes with a 3.5mm aux cable for audio. The speakers are really compact the main speakers feature a volume control knob which also acts as an ON/OFF button. 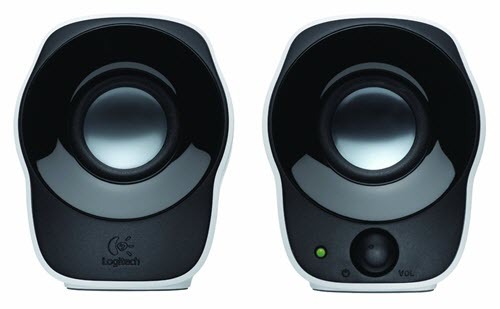 Logitech Stereo Speakers Z120 has total RMS output of 1.2W which indicates that they are not as loud as the other speakers mentioned here. But the sound quality is very good in these speakers. Creative is a big name in speakers and here we have Creative SBS A50 speakers that are powered by USB and come with a universal 3.5mm audio cable. Creative SBS A50 speakers are portable but they are relatively bigger in size and can also be suited for desktop computers. Creative SBS A50 stereo speakers deliver loud and crystal clear sound with nice bass. These speakers come with ON/OFF button and volume control knob that is located on the main speaker. So if you want good set of portable speakers that can be used for desktop also then these are perfect choice for you. These are very nice 2.1 channel speaker from Quantum or QHMPL. QHM6200 USB Speaker comes with one dedicated subwoofer and two satellite speakers. The speakers are loud enough with great sound clarity, and because of dedicated sub-woofer unit the bass is also very good. These USB powered speakers comes with volume control knob and a 3.5mm audio cable. The total RMS output of the speakers is 10W (Satellite 3W x 2, Subwoofer 4W x 1). 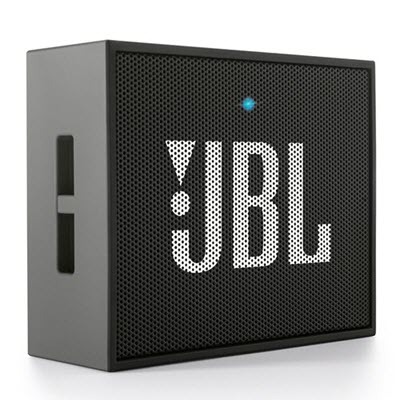 JBL GO is a Portable mini Bluetooth speaker that can be used with any Bluetooth enable device whether it is laptop, smartphone, tablet or any other. The speaker is so compact that you can fit it in your pocket. 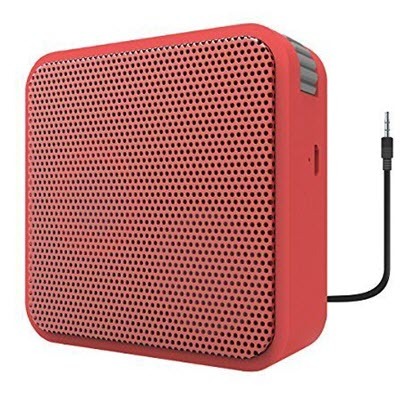 This portable wireless speaker comes with 3.5mm Jack for use with mp3 players, built-in microphone for answering calls, Bluetooth connectivity and a 600mAh battery for providing around 5 hours of playtime. The speaker has RMS output of 3W and is loud enough and has crystal clear sound quality. The bass is decent for the speaker of its size. So if want a high quality branded portable wireless speaker then JBL GO is the one that you should buy. Highly Recommended for Smartphones. Portronics Cubix is a battery powered portable speaker that is suitable for smartphones, mp3 players and laptops. The speaker comes with 3.5mm aux cable so that it can be used with variety of devices including laptop, smartphone, tablet, mp3 player etc. The speaker is reasonably loud and has 2W RMS output. The sound clarity is also very good. 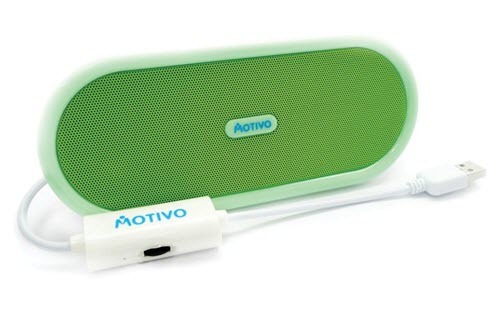 The speaker comes with 1200mAh rechargeable battery that can provide 5 hours of playtime. If have any doubts regarding which portable speaker to get for your laptop or smartphone then you can ask me by leaving a comment below. Could you also clarify on the difference between the models models Portronics Epresent Pure Sound Pro BT 2 Mobile Speaker and Portronics POR-118 Portable Wireless Bluetooth Speaker. Portronics Sublime Ii Por-137 Portable Wireless Bluetooth Speaker and Portronics Sublime 2 H3500 Portable Bluetooth Speaker . Well i suggest Portronics Sublime II for better features over the Pro II as the output is nearly the same for both. Can i connect Portronics Sound Bowl USB Speaker with a 3.55 mm female jack to my smartphone? What if i connect the speaker to a “female usb to aux converter cable” and then to my smartphone? 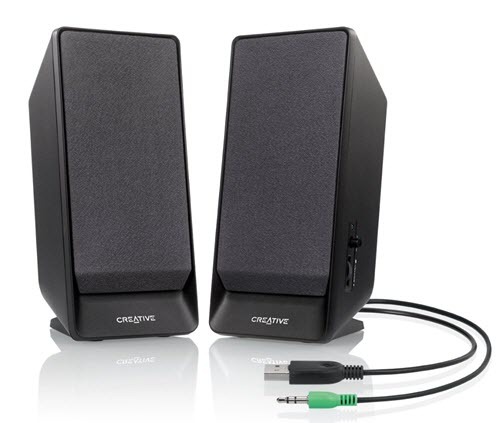 I have Creative Inspire T6 100 speakers, all speakers have been tested to be in working condition. My problem is that even though in the Realtek Audio Manager i have 5.1 selected only the Front Right and Front Left speakers work. The Rear Pair and the Center don’t seem to work. Reinstall the Realtek Audio driver package and also test your speakers in another PC having 5.1 audio. .answer me if I can get better that it. 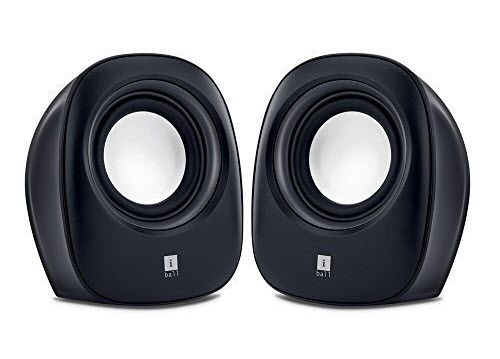 I’m thinking of Philips spa60.Lenevospeakers which are enlisted above are very good according the reviews of people at many sites but I don’t like their look.so suggest me one better than Logitech z120 and in range under rs750 . Please help me soon. (within 2 days). I have decided to keep Logitech z120 becaus3e when I tried full volume on another laptop it was not screeching at all .and quality was also better.so I think the audio files by which I tested my speakers were of low quality not my speakers . If it is the packaging film on the speakers then you must remove it.